Below is an email that I received / with my response. It will surprise some who are more naive and less aware of seismological politics. Browsing the Internet I recently found an scientific article describing the relation between sysmic activities and low frequency electromagnetic waves. It made me very sad and upset with my academic coleagues because it seems scientists are just sat on their chairs typing and publishing scientific papers with no intention or vision for usefull aplications. Sysmology is not my area of work bus as long as I can see it is not only a research area but a toll to develop a net of stations to forecast, yes, forecast earthquakes with one to four days in advance! Why it is not ventilated to the public and an action is started in order to avoid lots of victims of earthquakes destruction? I hope the information coud be usefull for you (ARTI) and to save lifes around the world. It seems that politicians are not responsible for keeping this information from the general public and that the scientific community is at least naive. I hope and pray for your health, wishing you are going better and better. Let me know if I can help you in any way. You may be familiar with the information contained, in my signature, below…that the Insurance Companies have told the school boards who are their ‘insured’ that they will charge an increased premium or will no longer insure the school boards, if they change the policy from ‘duck and cover’ to the ‘ triangle of life’.They are concerned that shareholder profit will be negatively impacted by school children surviving and seeking compensation. Regarding the information, that you sent me: I am sad to tell you that our world is so f—ked up that I knew this information 20 years ago. Matt Wyatt, the safety and security officer for Apple Computer was supporting a scientist who was conducting these studies with positive success. He had an 85% success rate. I notice the documents that you sent are dated 11 years ago. Seismologist Association ‘crushed’ him like a goliath jumping on a grape. I wouldn’t be surprised if they went so far as to kill him. It wouldn’t be the first time such action was taken and it certainly won’t be the last. It is just another example of how vested financial and powerful interests crush everything which they see as a possible threat. Perhaps, this scientific discovery will eventually overcome all the obstacles and become practically useful for saving lives..in a hundred years but it will be a rare exemption if it is allowed to flourish prior to that. Seismologist’s have a heavy burden on their souls. They study movements of the earth and layers of soil and yet they claim ( without any study, knowledge and/or experience) to be experts in earthquake survival. I have a very low regard for people who endanger people’s lives for their own personal and selfish gain. It is a shame but it is the reality we live in. Here is the text of the document which was sent to me. this paper would seem to offer a promising approach towards earthquake prediction. becoming operational (e.g., Yoshino et al., 1985). (1996) are discussed in an appropriate context in Section 4.
azimuth when viewed from a single site. horizontal reference axes that are orthogonal to each other. one of the buildings on the Tokai University Shonan Campus. The Geodetic Society of Japan; The Japanese Society for Planetary Sciences. pre-amplifier. The two axes are oriented in the north-south and east-west directions. and for Shimizu and Kumamoto: March 1997 to present. as the direction of incidence. epicenter, then we deduce that our selection rule is viable. signal arrival can be eliminated by means of triangulation. present four representative cases that typify our observation. 1 through 31, 1996, integrated over all azimuth. to assist the visual perception of the signal arrival direction. shown in Fig. 3 without regard to the direction of signal arrival. this feature has been found to be helpful in interpreting observation. causally related to the earthquake of October 5.
the direction of Sado and the Noto Peninsula. VLF activity two days prior to the day of the earthquake. 31.98.N and longitude 130.37.E and at a depth of 8.0 km. observed a large number of occurrences of VLF emission. on March 22 and appears to have lasted till March 26.
with in this paper in that it was accompanied by several aftershocks. from that of the main shock. fundamental difficulty in this discussion. There is another caveat with Case II that cannot be ignored. lightning discharges (see the text). single direction, and often shift in azimuth with time. VLF emissions from a large number of sferics on Mar. 23.
there were no earthquake-related emissions. Fig. 8 show the results for March 5, 6, …, 10, respectively. earthquake of M = 6.3 on Mar. 26). The epicenter direction is shown by a dotted line with an arrow at the tip. day of the earthquake, Mar. 9, (e), the activity is still visible. VLF activity related to the earthquake of the preceding day. emission occurred three days before it. earthquake. The results shown in Fig. 10 are for May 18.
coordinate representation with azimuth angles as abscisae. epicenter of the May 22 earthquake is indicated with an arrow. epicenter direction is shown by a dotted line with an arrow at the tip. related activity and sferics activity appear to be resolvable. details will have to await an accumulation of experience. indicated with the black square. 16 through 22, 1999 (Case IV, an earthquake of M = 4.1 on May 22). of this radio event some twenty years later Warwick et al. produced when microfractures occur in Westerly granite. that lead to the occurrence of earthquakes. for which our technique is viable. the earthquake which the VLF events are associated with. M. Otake and K. Tsumura. We wish to thank them for their encouragement. discussions with S. Ono concerning the polarization in crystals. were helpful in improving the manner of presentation of the results. Doctor of Science at the Tokai University. the Ito seismic swarm of 1989, Nature, 347(6291), 376–378, 1990.
bearing rocks, Geophys. Res. Lett., 4, 333–336, 1977.
edited by J. Aarons, 400 pp., North Holland, Amsterdam, 1963. May 22, 1960, J. Geophys. Res., 87(B4), 2851–2859, 1982.
precursor radiation, Ann. Geophys., 3, 727–730, 1985. T. Asada, H. Baba (e-mail: hbaba@keyaki.cc.u-tokai.ac.jp), M.
Incredibly good writing and really will help with becoming familiar with the subject matter better. In 1977, I read a short article by a soviet scientist linking radio waves with earthquakes and became interested in the construct. Numerous receivers were constructed and used to tag certain radio anomalies to seismic events. Then while working in Russia during the collapse of the Soviet Union, I met a scientist who had mathematically predicted a “new” type of radio wave. It took a decade of experimentation to develop a detector for this new wave. As fate would have it, empirical data showed that this wave is produced naturally as a precursor to any seismic or volcanic event. 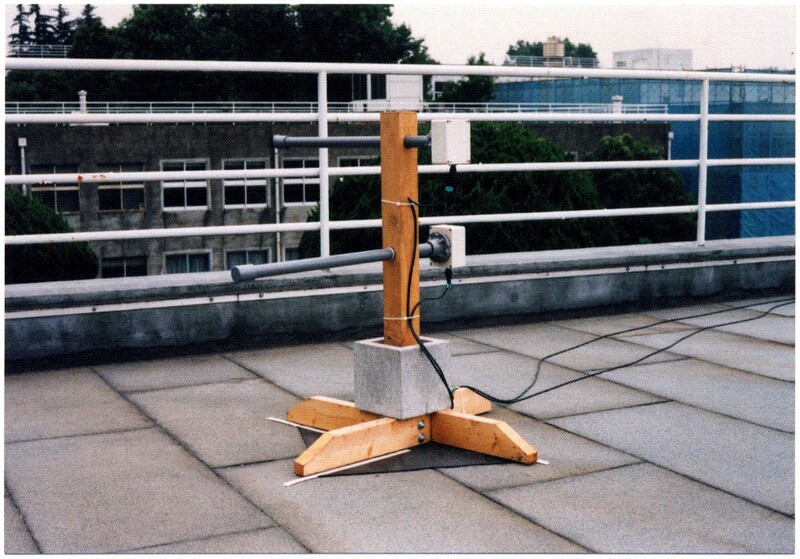 By combining data from this detector, along with other measurements, including magnetic, kinetic and gravitation, it should be possible to pin point the time, location and strength, of major seismic events up to 21 days in advance of the event.